on this day is a feature on some silos and indieweb sites which show posts published on the current (typically Gregorian) day of the year in previous years; commons sites tend to show more general historical events that occurred on that same day. 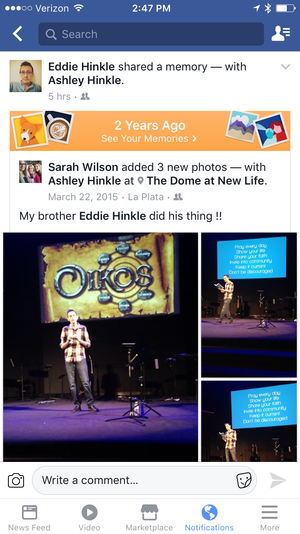 Eddie Hinkle added "This Day" to his site on 2017-03-22. It checks if the month and day of the post match the current month and day without matching the year. If that is the case, it adds a "Flashback card" to the top of the homepage. Colin Walker has an "On This Day" link at the bottom of his home page that when clicked will display links to historic posts made on the particular day. It uses his On This Day plugin code for WordPress which he's made available on GitHub. Ghacks technology blog shows a "This Day In History" section both at the bottom of its home page with links to articles published the same day but in previous years. https://en.wikipedia.org/wiki/Main_Page#mp-otd-h2 which links to articles for the current, prev, next days listing historical events that occurred on those days. 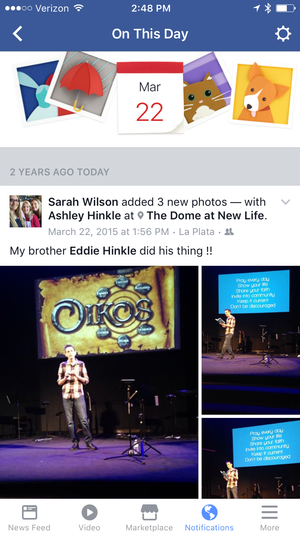 Since 2018-06-11, Facebook provides a Memories page (login required) with highlights of the past. This builds upon and includes their previous On This Day project. You have memories with Person1, Person2, and Person3 to look back on today. If you choose to share that post, it will post a "memory" X years ago to the audience chosen. You can access the "On This Day" section of the mobile app by tapping on the "Menu" button in the lower right hand of the tab bar, then scrolling down in the "Explore" section until you find the "On This Day" item. 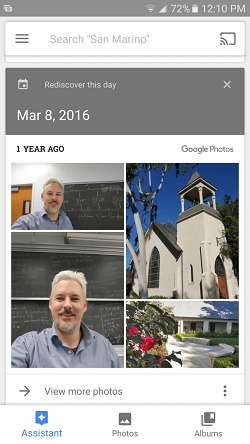 Google Photos makes a little collage of images that links to a set of photos, and notifies you. 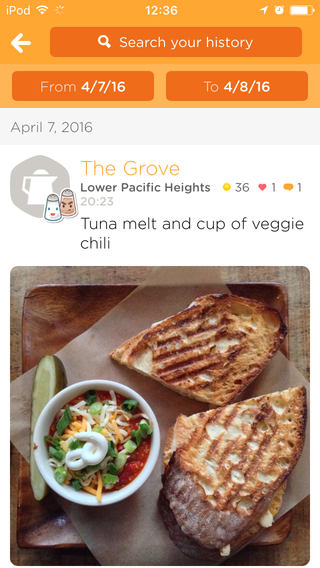 The mobile app also has a feature intermixed within their other stream-like features (albums, movies, animations, assistant, stylized photos) called "Rediscover this Day" in which they present a few photos from a particular calendar day (usually within a week of the current date X years ago). They also provide a link to an album of all the other photos taken from that particular day. One may have multiple cards in their stream covering various days X, Y, Z, ... years ago to cover different years in the past. 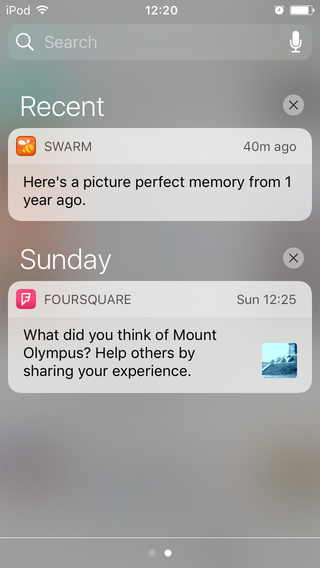 Timehop is a service that subscribes to your silo accounts, aggregates your time-based posts, and shows them to you in future years on the same month/day of the year. Room 34 Presents on This Day is a good solid option that has a pre-built widget as well as a custom archive page for one's website. This Day in History could also potentially be used, but it requires duplicating lots of data and is anti-DRY. Colin Walker has an On This Day plugin available on GitHub. Alan Levine built WP Posted Today a WordPress plugin that provides a shortcode for displaying posts published on the current day (or even pre-defined days). "On this day" can notify you of a personally negative event from a year (or more) ago, thus causing you to potentially re-experience the emotional context surrounding it, which may result in an unpleasant experience. 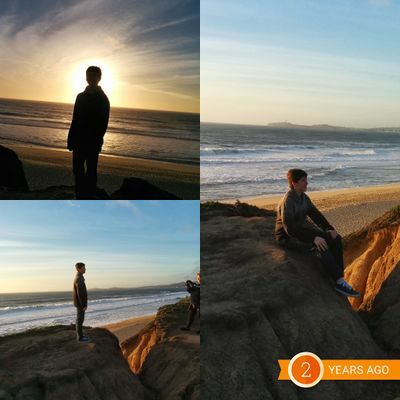 Timehop added a feature on 2019-01-25 called Hide-a-memory which allows users to click a menu option on each post within their daily history to see it in its original context or to hide it from future display. The main settings will also show how many posts are hidden on an individual day so they could presumably be added back into rotation. 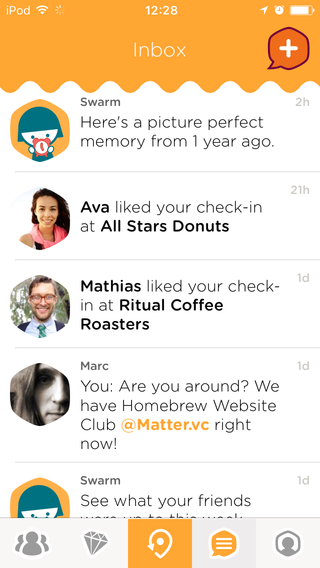 Screenshot of Timehops new feature being unveiled. "On this day", especially many years later, could also show you positive content that has obvious context, some of which you may have lost since then. E.g. Such reminders, especially with images (photos), can provoke or remind you of an unhealthy sense of craving or yearning for something you have lost, even things you thought you had let go of and moved on from. 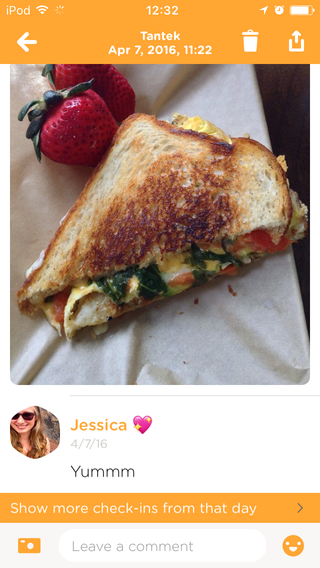 ( Mute ) - hide this item like you might hide sensitive content by default (but still have a way to reveal / show more. Or mute for some number of years. ( Forget ) - drop this post from any future "on this day" aggregations. Human memory forgets, perhaps this is a feature we need to build into artificial memory systems like "on this day". Tantek Çelik if I implement this (which I’m considering for Falcon), I will implement it with ordinal day of the year instead of Gregorian day, which will trade February 29th only happening once every four(ish) years with day 366 only happening every four(ish) years. "On this day last year, you wrote X posts from Y different locations"
Jonathan LaCour is interested in a summary / recap feature for his website. If you have made multiple posts on this day in previous years, perhaps just one could be highlighted. Similar to a box that shows a summary of recent (perhaps 3) articles on the home page, it may make sense to have a show-only-if-there-are-any box that summarizes the most recent (perhaps 3) on this day posts from previous years, with a link to "View more" that links to the /onthisday page listing all such posts. Having reflected on how I’d want to implement On This Day, I have found that just thinking about how to make it work has affected how I now post - Tantek Çelik. E.g. Date-tagging posts about past events (e.g. TBT, FBF posts), for example #2018_174, so they can theoretically be automatically found by an On This Day feature that checks for the hashtag of that day as well as post created/published/updated dates. Considering posting past photos only a day's worth at a time - so that I can date hashtag them with a precise single date, to provide a more precise On This Day experience in the future. This page was last edited on 17 February 2019, at 15:17.